A great experience for guests is about creating a high level of convenience and making travelers feel right at home. As a result, more operators are equipping their rooms with voice-controlled virtual assistants such as Amazon’s Alexa. 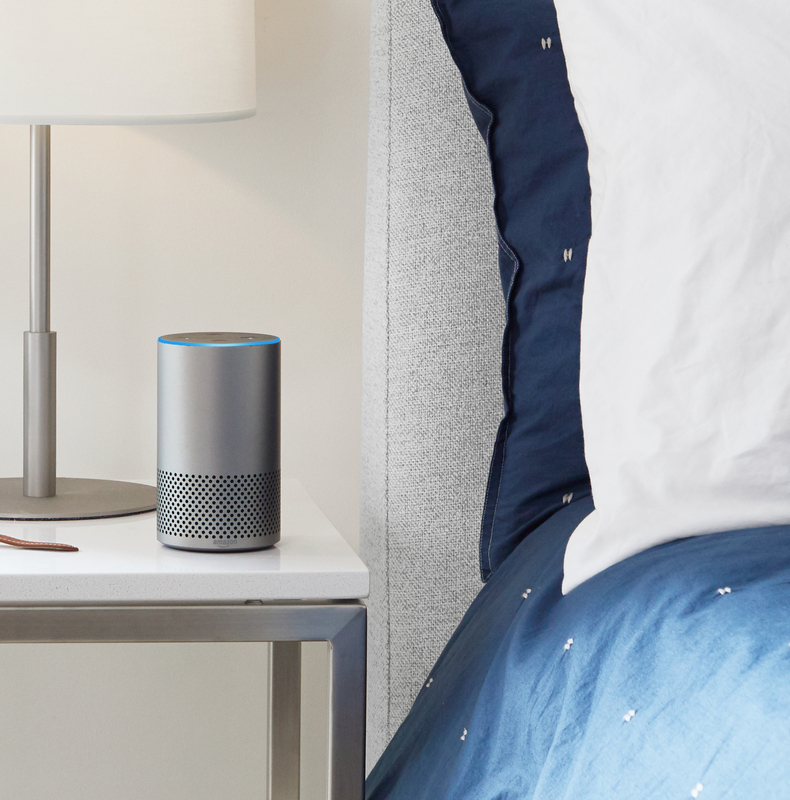 Sensing the growing marketplace for such an amenity, Amazon earlier this year released its Alexa for Hospitality product. Accordingly, in-room Echo smart speakers allows guests to access the Alexa virtual assistant to perform a range of tasks. The service “simplifies tasks for guests like playing music, ordering towels, controlling in-room temperature or lighting, finding local restaurants and attractions, calling, and even checking out,” the Alexa for Hospitality website adds. One reason to consider giving guests access to a virtual assistant is the increase of this technology in homes. Approximately one in five U.S. adults has a smart speaker in his or her home, according to one study. That’s 20 percent of the adult population. And when they travel, these guests won’t be excited about doing without the ease and convenience of these products. Hotel operators shouldn’t view virtual personal assistants and smart speakers as merely “toys” for guests to play with. These technologies can be effective methods for assisting your staffs as well. Technology is transforming our lives in every way. Therefore, the expectations of hotel guests are changing accordingly and operators must adapt. By installing in-room voice-controlled virtual assistants, hotel operators can provide guests with the convenience and ease of lifestyle they’ve grown accustomed to in their own homes. And they can make their staffs’ operations more efficient in the process. Similarly, operators must equip their rooms with the kind of cutting-edge in-room entertainment that guests now demand. As such, today’s guests don’t want to deal with a traditional cable package or pay-per-view movies. They want flexibility to access their Netflix or Amazon on the in-room TV or to cast from their personal device. When hotel operators outfit their rooms with virtual personal assistants and forward-thinking entertainment systems, guest satisfaction and customer loyalty are sure to follow.